The Opioid crisis has caused many hardships and eye openers for everyone. The only option we have is to tackle this epidemic head-on. Ingenious approaches have yielded success, but we need to take care to stop short of radical fixes, lest we intensify the extreme issue we are trying to remedy. A delegation of state lawmakers is going to Portugal to review its decriminalization of opioids this week. Senate President Karen Spilka, in a news release, called the journey a “distinct opportunity” to acquire insight into “possible services” for the ongoing opioid crisis, along with talking about financial and security issues. Decriminalization law pass in early 2001, Although, the policy never changed the way it punishes drug dealers for trafficking their product, however, users– holding less than a 1-day supply of any particular drug– are sent to a commission, which consists of a doctor, a lawyer, and a social employee. There the user will be educated about treatment and if needed will be admitted to a facility. Gov. Charlie Baker argued that for the previous 15 years there has been a “big overuse” of opioid medication, and he was quick to call into question a decriminalization option. The doubt of decriminalization is very high, due to the already high rates of addicted users in the country. Decriminalization opens the floodgates to a new and unfamiliar host of problems and we do not have the requisite variety of facilities and resources to absorb them at the moment. We ought to persevere in our method to this issue, but anything our country can obtain from Portugal needs to be weighed for discussion. Reports on the decriminalization law confirm the drops in drug use, overdose deaths, drug-related crime, and disease rates. The United States drug policy stopped working marvelously, with about as many Americans dying in 2015 of overdoses– around 64,000– as were killed in the Vietnam, Afghanistan and Iraq Wars integrated. After 15 years, it is made very clear which country made the right decision with how to handle the war on drugs. In contrast, Portugal might be winning the war on drugs– by ending it. 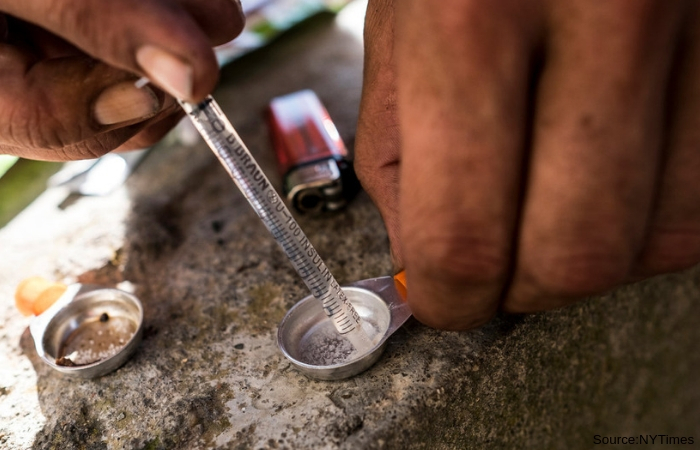 Today, the Health Ministry approximates that just about 25,000 Portuguese use heroin, below 100,000 when the policy began. The valuable and haunting lessons that are learning from Portugal, is that Although we cannot make heroin disappear, we still have time to save their lives — if we want to treat them not as crooks but as sick, suffering people who need our help, not handcuffs.